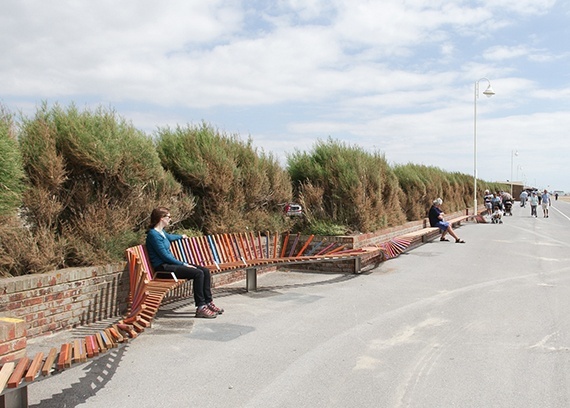 The Aldingbourne Trust are proud to offer the Long Bench Slat Scheme, a wonderful opportunity for you to make your mark on the Littlehampton seafront. The Long Bench at Littlehampton is thought to be the longest bench in Britain and one of the longest in the world. The wood and stainless steel bench ‘flows’ along the promenade at Littlehampton in West Sussex – curving round lamp posts and obstacles, twisting up into the seafront shelters, dropping down to paths and crossings. The bench was opened in July 2010 and can seat over 300 people. It was funded by Arun District Council and CABE’s ‘Sea Change’ capital grants programme for cultural and creative regeneration in seaside resorts. The bench was also supported by a private donation from Gordon Roddick as a tribute to his late wife Anita, the founder of The Body Shop, which first began trading in Littlehampton. 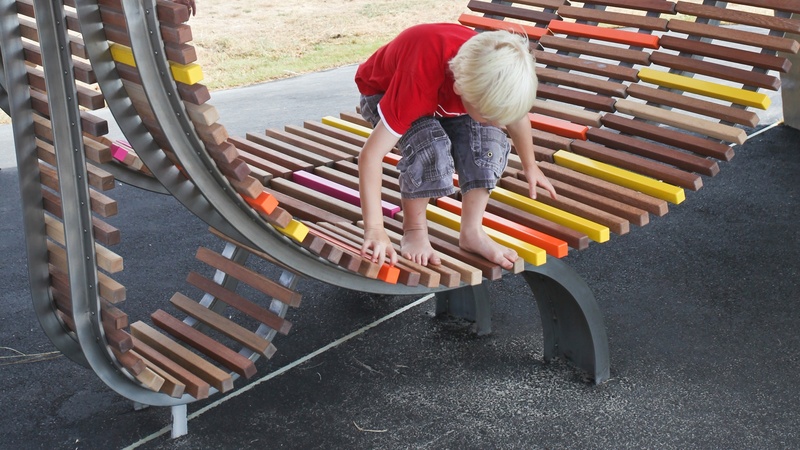 More information about the design of the award winning bench can be found on the Studio Weave website. 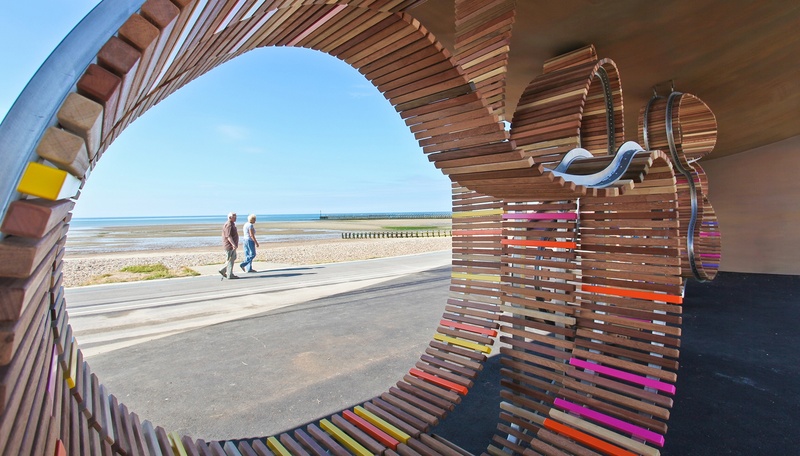 With inspiration and input from children at the local primary school, the 1,000 foot long bench is now a popular visitor attraction and a great place to admire the seafront and Littlehampton’s award winning beach. The Long Bench is host to hundreds of special messages engraved into the hardwood slats that make up the long bench – they celebrate birthdays, weddings, special events as well as local achievements and triumphs. Many commemorate a loved one and invoke memories of happy times at the beach or in the area. Whether memorial or memory, celebration or anniversary, message of love, a surprise gift, or simply a desire to spread a little seaside joy: make it your own. You can buy a bench slat and specify your own individual message that will be engraved into a new hardwood slat and fitted to the bench. The slat space is yours for a period of 5 years through our slat licencing scheme. 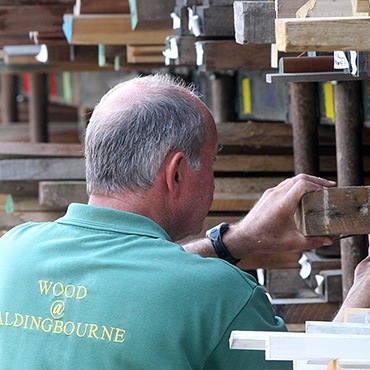 The scheme is managed through the wood department at the Aldingbourne Country Centre and people we support with a learning disability are actively involved in fitting your slat and maintaining the bench. website to make the order. Your slat is made from Sapele, a hardwood from Africa. Growing up to 45m high, it is harder than mahogany and a similar reddish brown colour. All our sapele timber is sourced from sustainably managed woods. Once cut to size, the slats are checked and lightly sanded in our wood workshop at the Aldingbourne Country Centre. To ensure your message can be easily read and is long lasting on the seafront, your message is cut into the slat using laser technology. A specialist company completes the laser engraving – the size and depth is specified to maximise life span – too shallow and the surface may erode quickly, too deep and it risks staying wet with an increased risk of decay. We think it is ‘just right’! When your order is engraved, it is checked in our workshops and the fitting location on the bench identified. 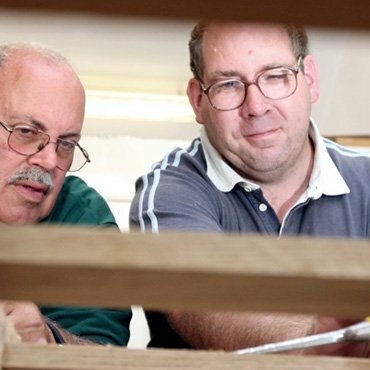 Our wood workshop team will fit your slat onto the bench frame with stainless steel security bolts – we also regularly check to make sure the whole bench is in good order. From order to fitting is usually around 3 months – we will let you know when your slat is in position. 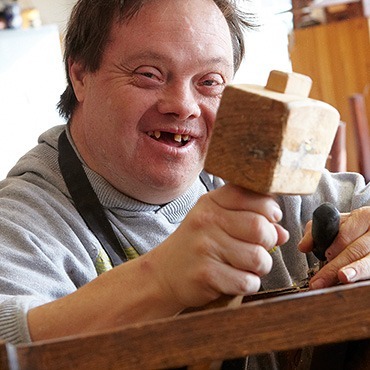 The Aldingbourne Trust is dedicated to helping local businesses, communities and people with learning disabilities to reach their potential and enjoy life, together. The charity provides a range of supported living, employment and day services to support people with learning and/or physical disabilities to gain independence. 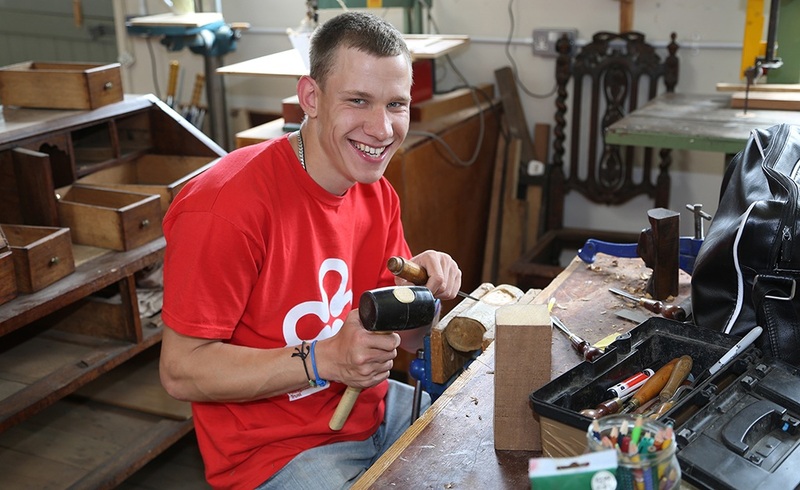 At the Aldingbourne Country Centre near Chichester, the Trust runs several social enterprises to provide vocational training - these include the successful wood recycling project and wood workshops. The commemorative slat scheme is run and managed by the Aldingbourne Trust on behalf of Arun District Council - the Trust's woodwork team will manage your order and fit your slat onto the Long Bench at Littlehampton.